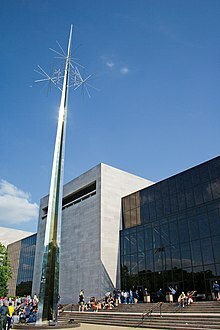 This is a list of aerospace museums and museums that contain significant aerospace-related exhibits throughout the world. The aerospace museums are listed alphabetically by country and their article name. Campini-Caproni C.C.2 in the Italian Air Force Museum. K. I. Sawyer Air Force Base Heritage Museum, K. I. Sawyer, Michigan, located south of Marquette, Michigan. War Eagles Air Museum, located at 8012 Airport Rd in Santa Teresa, New Mexico. ^ "The Thomas Aviation Collection". camdenmuseumofaviation.com.au. Retrieved 21 November 2015. ^ "Welcome to Fighter World". fighterworld.com.au. Retrieved 21 November 2015. ^ "Narromine Aviation Museum". narromineaviationmuseum.org.au. Retrieved 21 November 2015. ^ * Hundertmark, Michael; Steinle, Holger (1985). Phoenix aus der Asche - Die Deutsche Luftfahrt Sammlung Berlin. Berlin: Silberstreif Verlag. ISBN 978-3924091026. ^ "Flygmuseet F 21". flygmuseetf21.se. Retrieved 21 November 2015. ^ "Airbase Arizona of the Commemorative Air Force". Azcaf.org. Retrieved 2013-11-24. ^ "Home | Flight Test Historical FoundationFlight Test Historical Foundation". Afftcmuseum.org. Retrieved 2013-11-24. ^ "Blackbird Airpark". Flight Test Historical Foundation. Retrieved 21 March 2014. ^ "5050 Santa Fe Drive, Atwater, California :". Castle Air Museum. Retrieved 2013-11-24. ^ "Chico Air Museum". chicoairmuseum.com. Retrieved 21 November 2015. ^ "Joe Davies Heritage Airpark at Palmdale Plant 42 – City of Palmdale, CA Official Web Site". Cityofpalmdale.org. Retrieved 2013-10-09. ^ "Home Lyon Air Museum". Lyonairmuseum.org. 2013-01-18. Retrieved 2013-10-09. ^ "Goleta Air and Space Museum, Pt. Mugu Missile Park". Air-and-space.com. Retrieved 2013-11-24. ^ "Our Menus". Theproudbird.com. 2010-06-08. Retrieved 2013-11-24. ^ "Iconic Proud Bird Restaurant at LAX announces plans to close". Dailybreeze.com. 2013-09-26. Retrieved 2013-11-24. ^ "Views & Beyond". Theproudbird.com. 2010-06-08. Retrieved 2013-11-24. 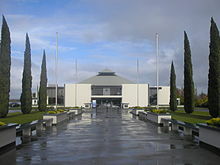 ^ "Santa Maria Museum of Flight, airplane museum, airplane history, flight history". Smmof.org. Retrieved 2013-11-24. ^ "Welcome to the Colonel Vernon P. Saxon Jr. Aerospace Museum". 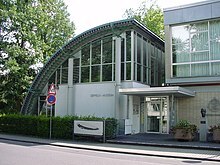 Saxonaerospacemuseum.com. 1997-09-13. Retrieved 2013-11-24. ^ "U.S. Naval Museum of Armament & Technology". 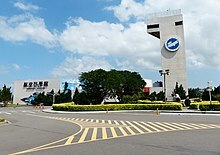 Chinalakemuseum.org. 2013-11-20. Retrieved 2013-11-24. ^ "Yanks Greenfield Expansion". Yanksair.com. Archived from the original on 2013-09-29. Retrieved 2013-10-09. ^ "Yanks Air Museum in Greenfield growing | Salinas News - KSBW Home". Ksbw.com. 2013-06-07. Archived from the original on 2013-10-09. Retrieved 2013-10-09. ^ "Official Website | K.I. Sawyer Heritage Air Museum". Kishamuseum.org. Retrieved 2013-11-24. ^ "Air Park Displays". Selfridgeairmuseum.org. Retrieved 2013-11-24. ^ "Boeing: James S. McDonnell Prologue Room in St. Louis". www.boeing.com. Retrieved 7 April 2018. ^ "War Eagles Air Museum". War Eagles Air Museum. Retrieved 2013-11-24. ^ John T. Sessions. "Historic Flight". historicflight.org. Retrieved 21 November 2015. Wikimedia Commons has media related to Aviation museums. This page was last edited on 26 April 2019, at 00:34 (UTC).